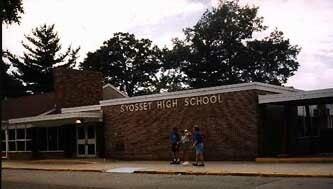 Welcome to Syosset High School's Class of 1965 Very Very Much Unofficial 40TH Reunion Web Pages. Co-chairs were and may still be, Susan Krueger and John Haug. John Betts maintains our email list like the track runner he was. The purpose of these pages are to share reunion information, family photos; Syosset tidbits and memorablia; to announce regional mini-reunions and any other possibilities. For example, how about some pages devoted to the sharing of your stories, recollections, old rumors and innuendo about classmates? Get personal! Divulge secrets! Send me some, we shall see what we can do. How do you feel about a list of classmates who offer services or goods. Especially for trade or barter. There is information of historical interest herein as well as interesting Syosset links. If you find dead links, please email me. Likewise with graphics or anything else you feel would contribute to this site. If you are a flash programmer and/or can deal with tables and frames, and want to assist, phone collect! Links may bring you to memories and memorabilia. Photos & other treasures have been buried all through these pages. Click your way though the lists and files below. I can not seem to find the biographies. Can you? Ya all may continue to support this project by visiting these pages and sharing them with friends and family and by contributing PHOTOS of your present selves at home, work, play and reunioning. Photos of grandkids, puppies, yachts, motorcycles, you rollerblading, surfing or skiing, are especially encouraged & appreciated. Link these pages to your website!